Are you looking for a family-friendly, highly-capable compact SUV that will deliver on all your needs? There are a few competitors on the market, but three are often discussed in the same breath. So let’s take a look at the 2018 Volkswagen Tiguan, Honda CRV, and Toyota RAV4, and see why the Tiguan comes out ahead. When it comes to comparing the 2018 VW Tiguan vs Honda CRV and Toyota RAV4, the easiest place to start is with performance. Take horsepower, for example. The 2018 Tiguan delivers 184 horsepower from its 2.0 liter engine, while the CRV requires a larger, heavier engine to produce the same power, and the RAV4 tops out at 176 horsepower, again with a larger, heavier engine. Now let’s take a look inside. The Tiguan has been praised for its high level of safety tech and infotainment features, while many CRV trims have been criticized for their limited engine and safety tech. With seven seats, the Tiguan also offers more passenger space compared against the CRV and RAV4, both of which have only five seats. And if aesthetics are a consideration, the Tiguan has received high praise for its streamlined look, while the Car Connection calls the RAV4 “quirky” and “oddball”, and says the CRV is “not exactly pretty” and that it “won’t impress enthusiasts”. Bottom line, when it comes to performance, practicality, and style, the 2018 VW Tiguan takes the lead. Ready to experience the perfection of the 2018 Volkswagen Tiguan for yourself? Visit Reeves Volkswagen today, your #1 resource for all things VW. Why Reeves? At Reeves Volkswagen we offer the largest VW inventory in the region. Whatever model, trim, or color you want, we have it. Forget about stressful, subpar VW service. At Reeves, our high volume service center is capable of working on more cars at once, meaning you get back on the road fast. And our expert techs ensure that your repairs stay fixed. We help you save by offering Tampa’s best VW specials on everything from new and used vehicles, to parts and service, to accessories and apparel. Bottom line – everything is better at Reeves. 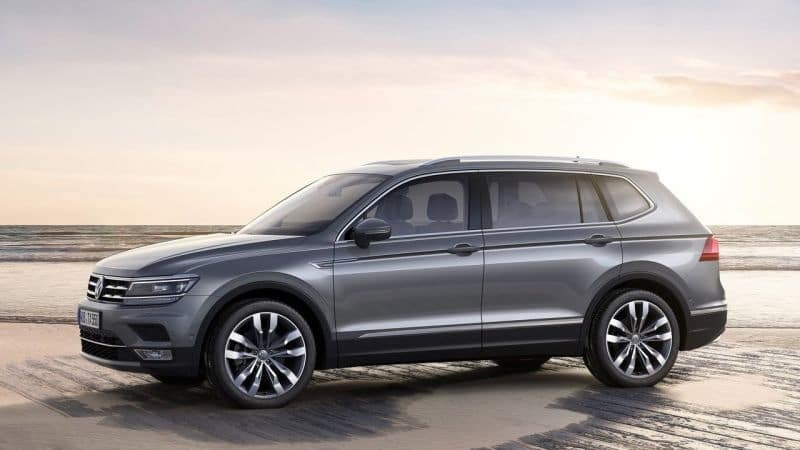 Check out our selection of the 2018 Volkswagen Tiguan online, or call Reeves Volkswagen at (855) 248-4512 today.